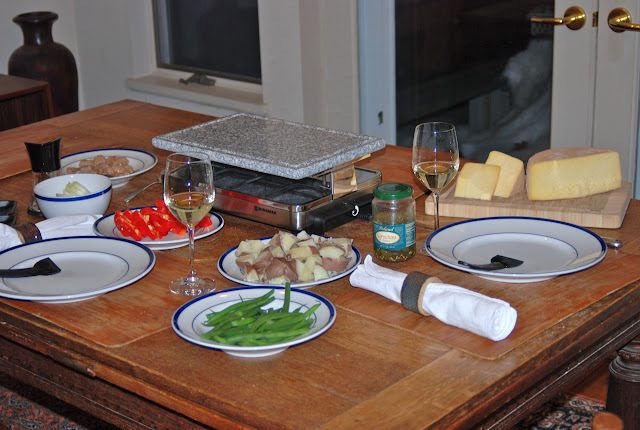 I first tried Raclette while visiting Mont Tremblant on a ski trip, and I was somewhat skeptical. I mean, cheese melted on potatoes sounds both boring and unhealthy, doesn't it? However, neither is true. 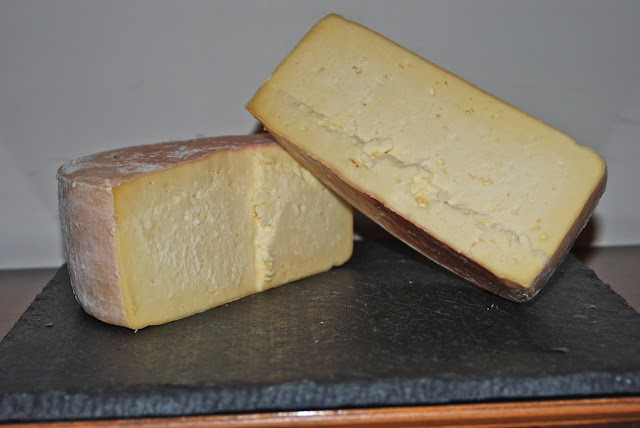 It is complex and delicious to eat, and just as nutritious as the raw milk from which it's made. 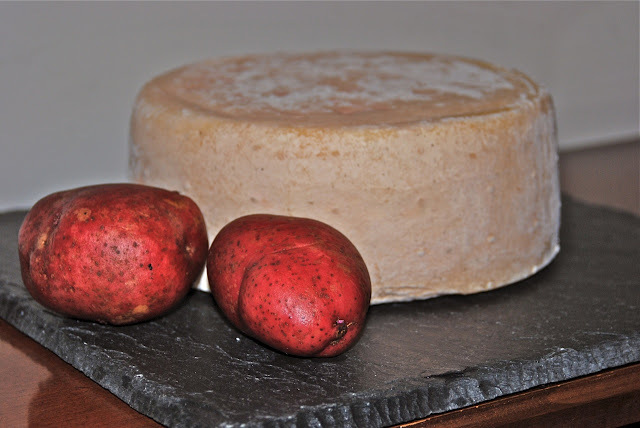 On that occasion, a heating appliance was placed on the table, with the cheese held close to a glowing coil. We scraped the fragrant cheese from the wheel onto waiting plates. 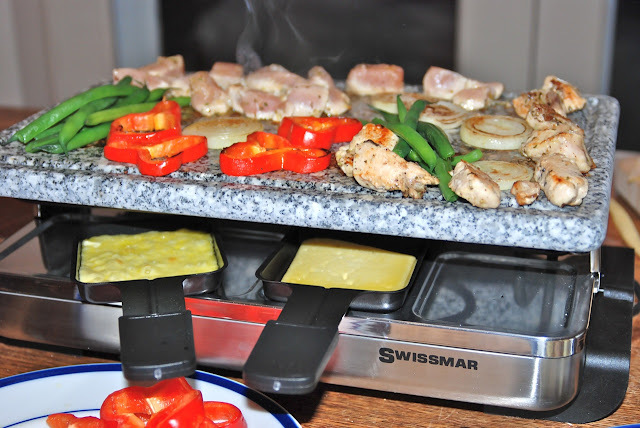 A pierrade is a stone-topped raclette grill. The cheese or sauce is in small pans underneath the heating element, and a stone cooking surface sits on top. Small pieces of meat and vegetable are quickly cooked on the hot stone, and then coated with the hot cheese or sauce. Each guest may cook their own pieces of meat and melt their own cheese. Doing this is fun, and it's primal. It's slightly reminiscent of camping, or perhaps Korean barbecue. But this is your restaurant...there is no cleaver-wielding attendant standing over you. You're just melting cheese, watching your food searing on a piece of granite. Resist the urge to make cave paintings on my dining room wall. Plate and garnish. Serve Raclette with a fruity white wine. This cheese has a lot of potential. Chef Jason Tostrup of the Inn at Weathersfield made some delicate fritters out of this cheese, accompanied by Woods Cider Jelly. Altogether a brilliant innovation. 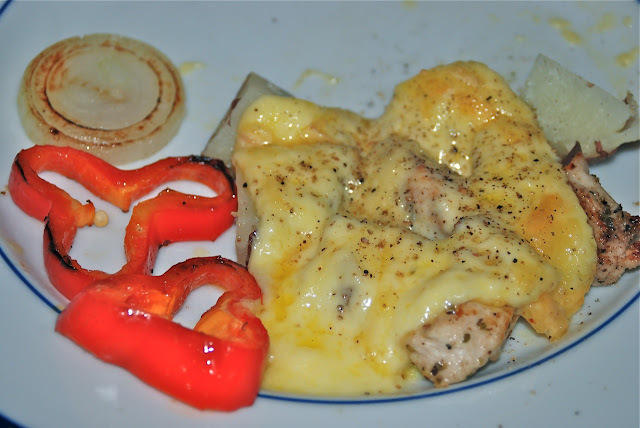 My french friends introduced me to raclette in a middle of cold winter and I was immediately sold...such a heartwarming dish....comfort food at its best! Where on the North Shore did you live? I have some friends from the Lower North Shore, places like La Tabatiere, Aylmer Sound, Chevery, Harrington Harbour. I just took a French class at a local community college and one of my projects was on regional foods. 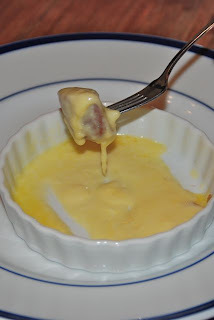 I fell in love with Raclette right away - what a great way to have a fancy dinner with special guests without going out! Especially, if you are like me and are addicted to cheese. Thank you for these beautiful pictures - I forgot all about it for a while, but now one of those Raclette grills is on the top of my list.